The parking lot was still open. 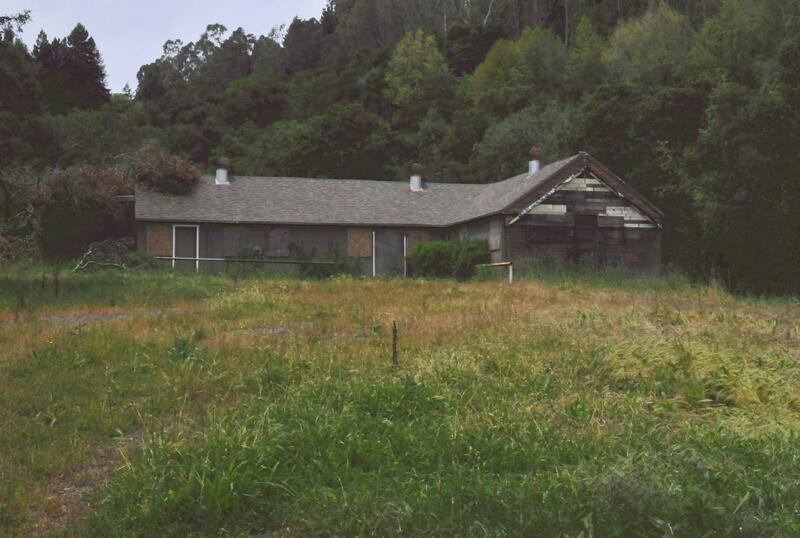 Once parked, the former Pony Ride building still stood on the low hill above. 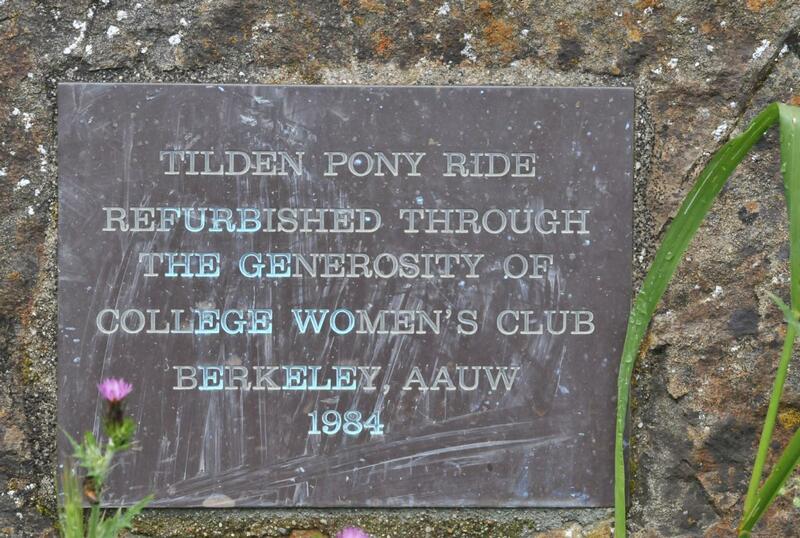 A sign still stood next to the path leading up to the Pony Ride. 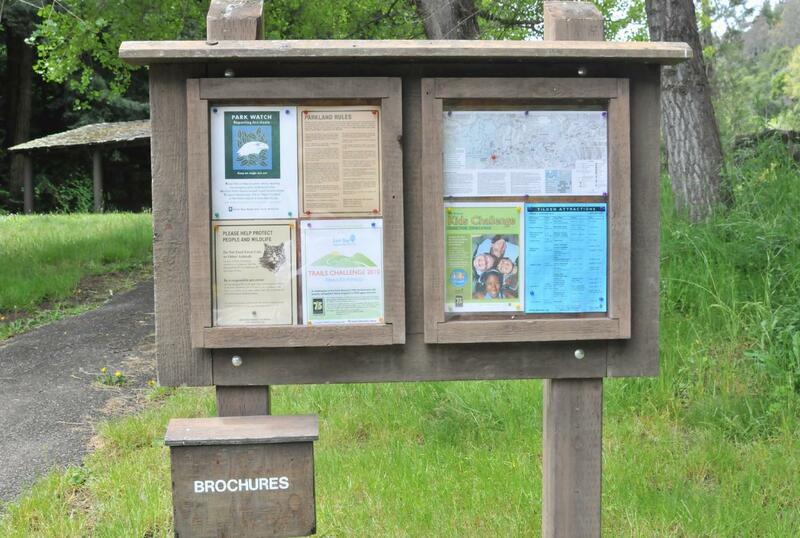 It displayed a map of Tilden Park and several informational notices. 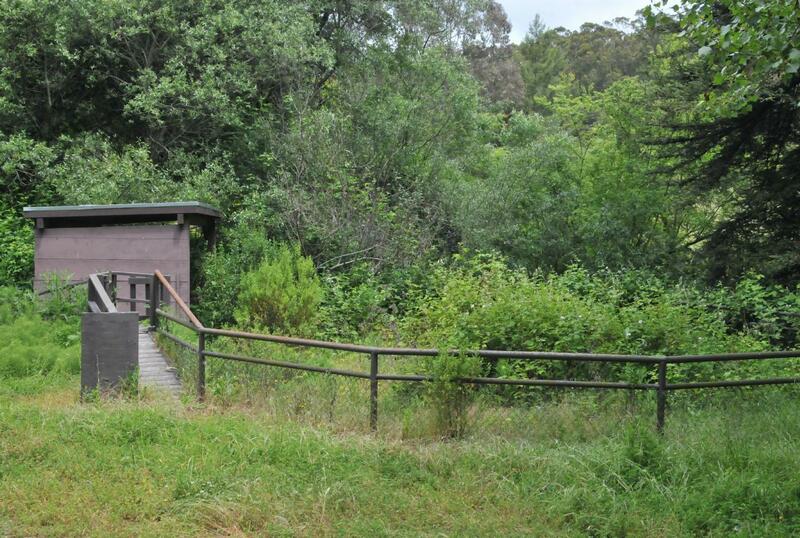 The "brochures" box contained brochures for Tilden Park in general, not for the Pony Ride. 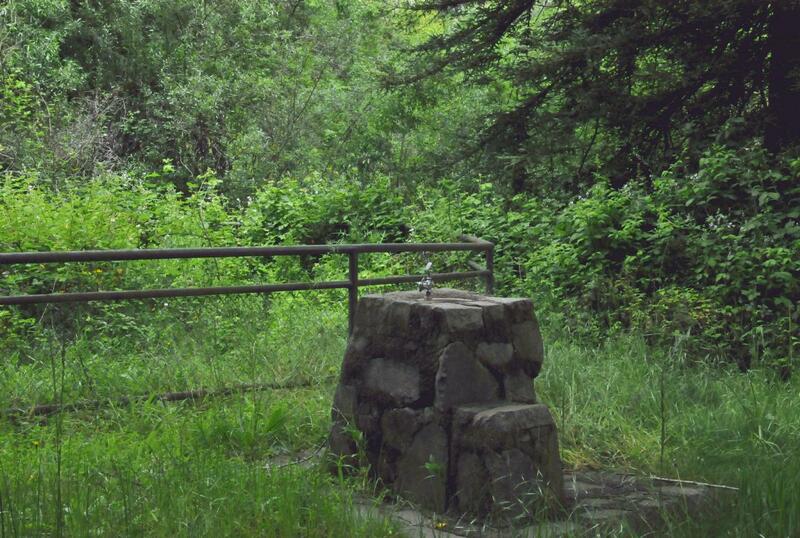 A drinking fountain was just off the path up to the Pony Ride. 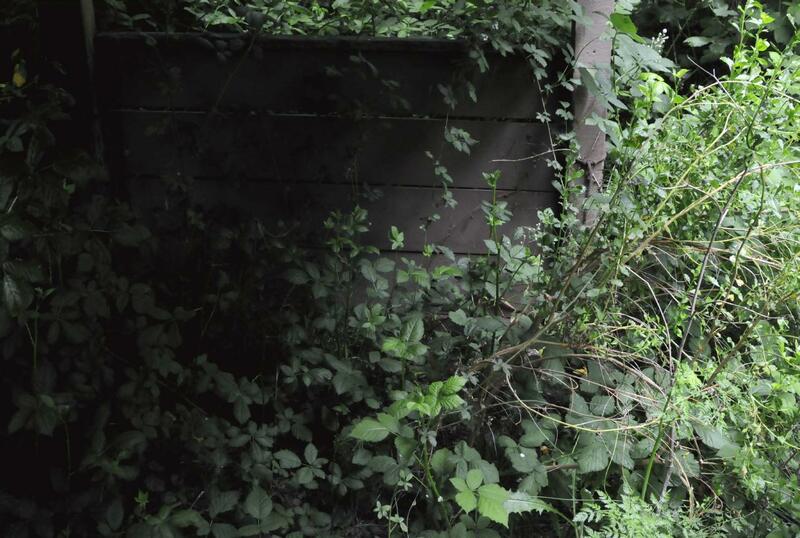 Behind the drinking fountain a fence was visible. That fence once surrounded the small children's ride. The ramp up to the boarding platform for the children's pony ride. A sign to the left of the ramp used to display rules. 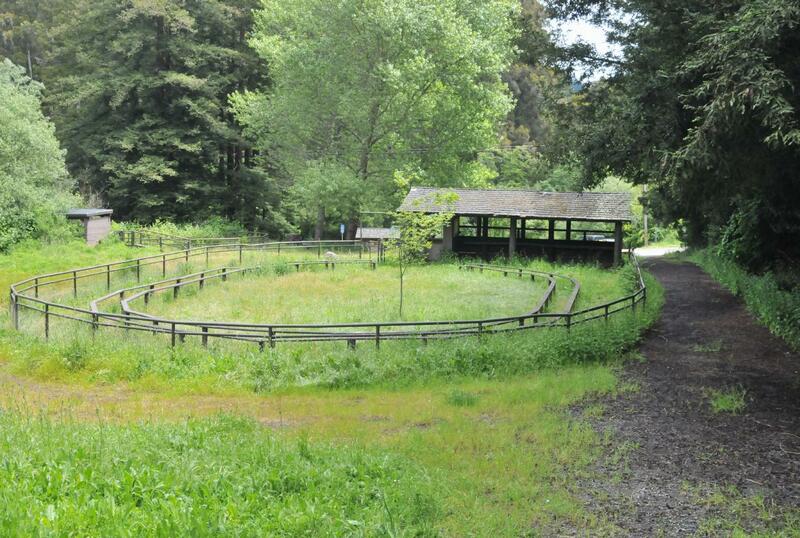 The circular fence used to have a pivot in the center to which the small pony's were attached. The building was a corral. 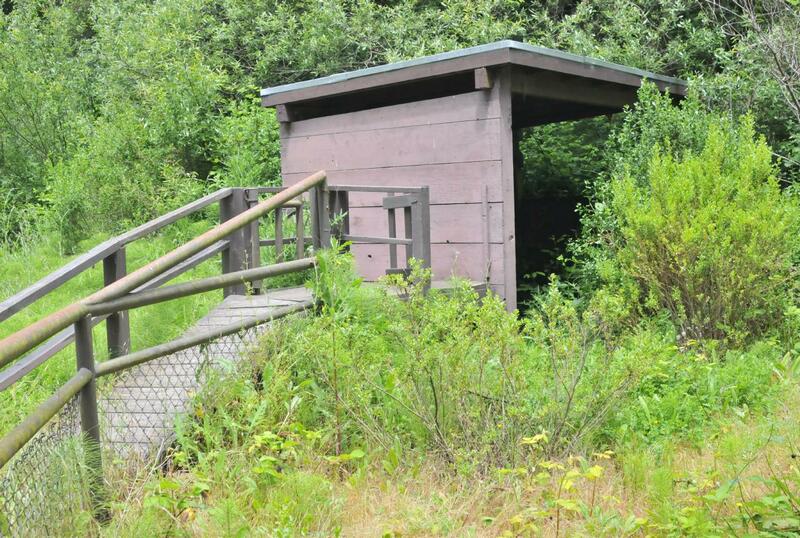 The mounting platform and its gate were visible at the top of the ramp. Evidently, one person on the platform helped children mount a ponies, while a second person led the ponies around the central pivot. The corral for the children's pony ride was now a dark forbidding hole. The main building was also entry to the older kid's ride. 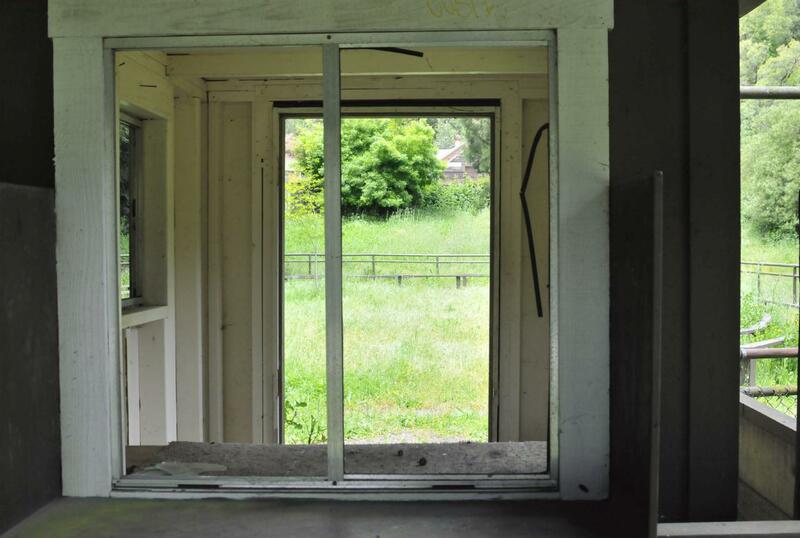 The ticket window still stood out in its white outline. To the left was a covered area utilized to line up out of the sun. To the right was the actual ring for the pony ride. 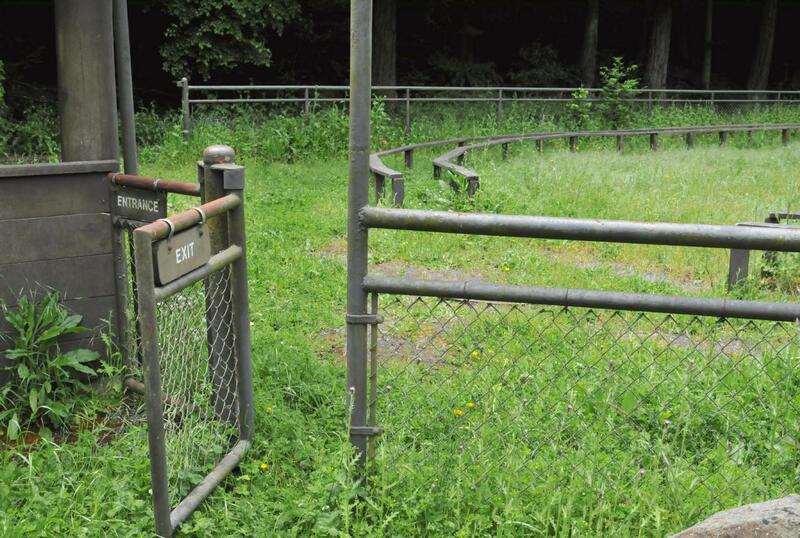 The entrance and exit gates to the main ring for the older kid's pony ride. 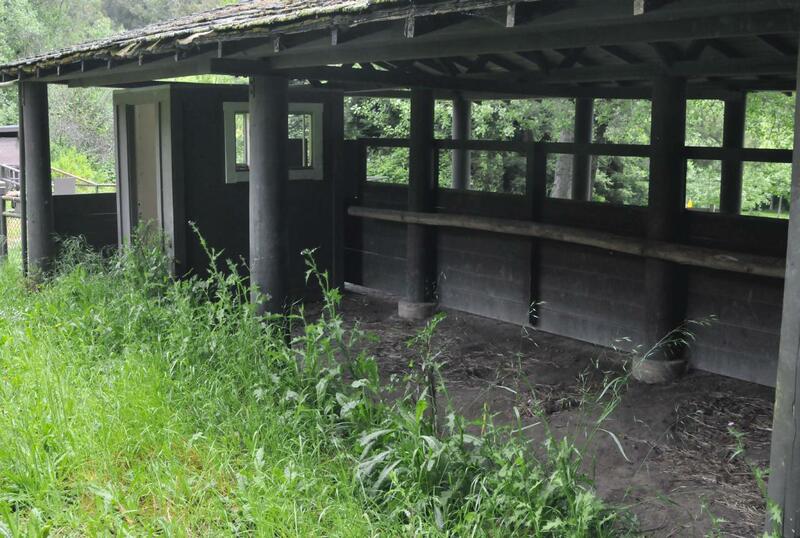 The ticket booth now lacked glass and the door was missing. It appeared that a window slid open to dispense tickets. The corral for the larger ponies. The ticket room and the entry were to the left. Openings at the back of the corral allowed those in line to watch the the ponies. The ponies used to walk just inside to the left of this inner track. 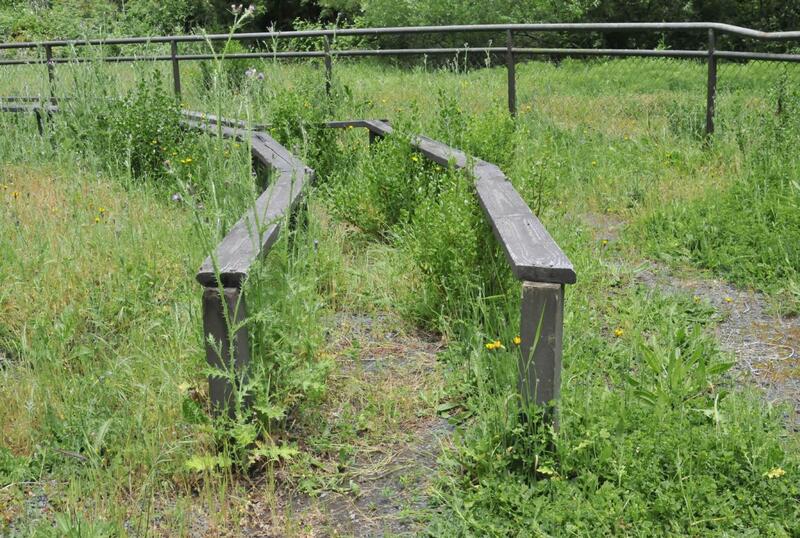 A person would walk inside this track and lead one or more ponies. In the 50, the ride was much more spectacular. A man stood in the center of the ring and led the ponies using a long whip. The ponies then wore fancy plumes, and the kids didn't need helmets. Overview of the older kid's ride. 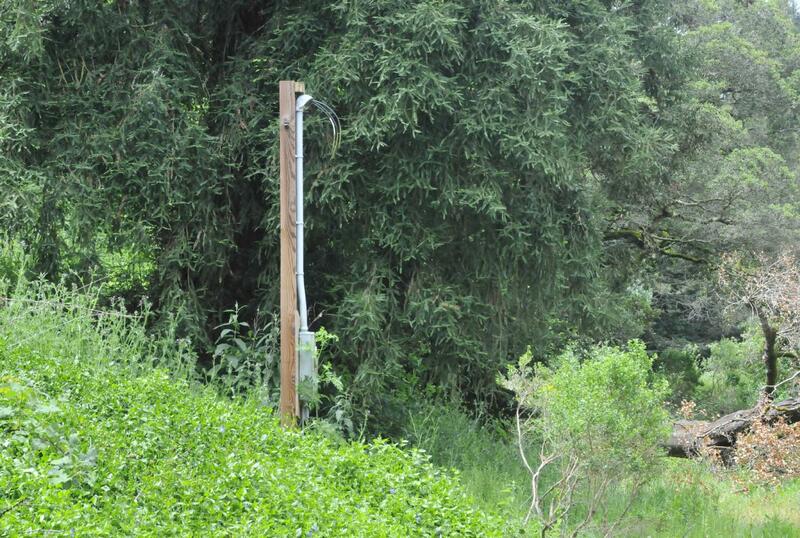 To the right was a roadway leading in. Beyond to the left was the small children's ride. A new tree had taken root and was now growing inside the ride. 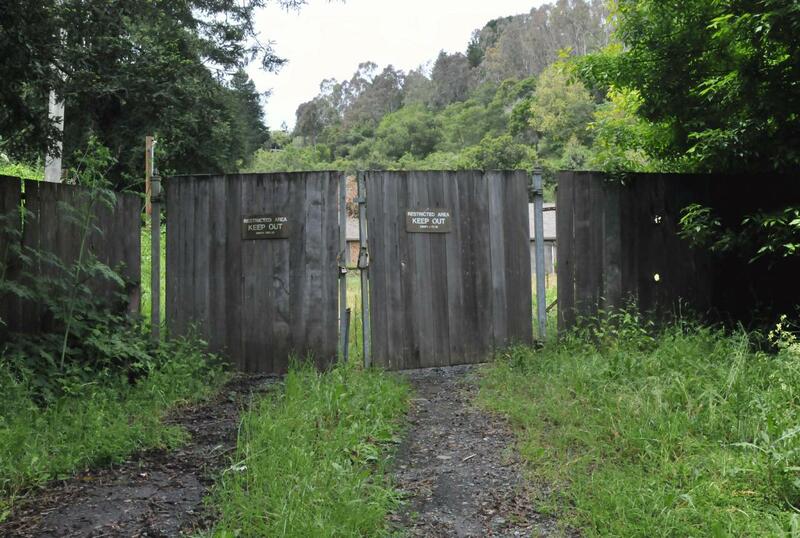 Beyond the "keep out" gate was the former home of those who ran the pony ride. 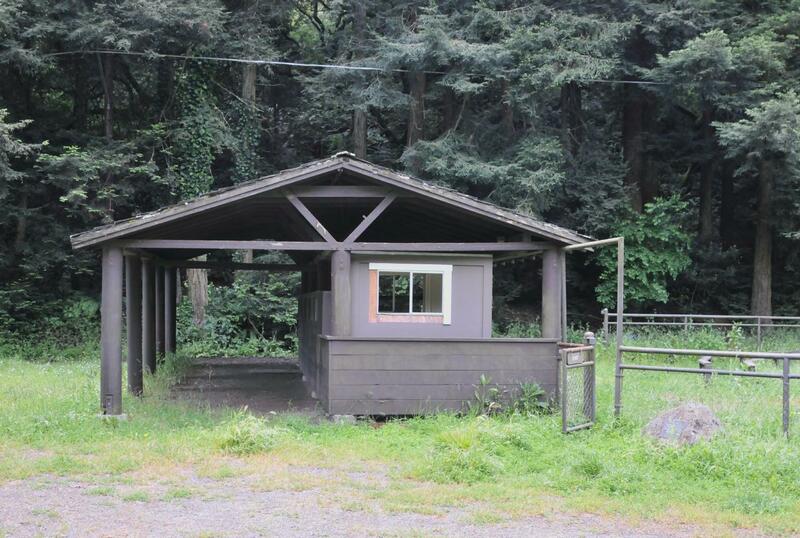 The right side of the home appeared to be a barn. Power had been run in to the pony ride and its building behind the "keep out" sign. After the ride had been closed, its power had been cut. 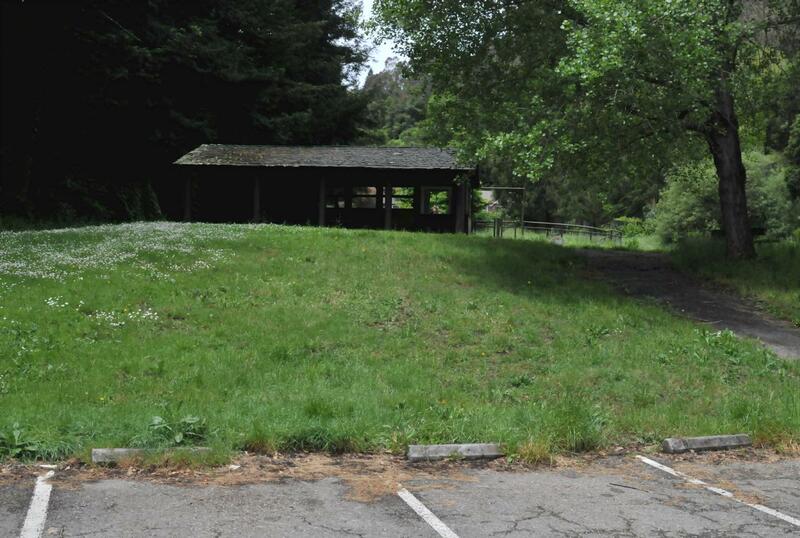 But all hope is not lost, on June 30th 2010, the board of directors of the east bay regional park district received proposals for the operation of a pony ride concession in Tilden Regional Park, Berkeley, California.